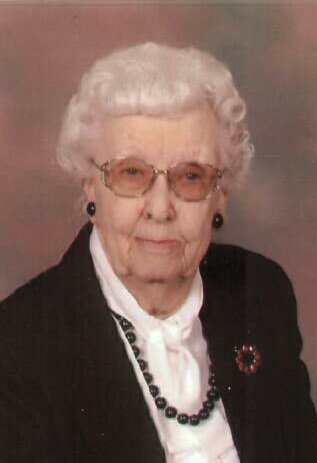 Vernoye Gwendola (Bishop) Bargen the oldest of six children, of Benjamin Harrison and Ruie Olive (Preston) Bishop was born September 18, 1913 in rural Nuckolls County, Nebraska. During the morning hours of December 4, 2018 Vernoye fell asleep in Jesus, having reached the age of 105 years 2 months and 16 days. Vernoye was baptized and confirmed in the Christian faith and graduated with the class of 1930 from Superior High School. She continued her education at Kearney State College and taught at a country school for four years. On April 3, 1934, Vernoye and Eilert Ernest Fredrick Bargen were united in marriage at the home of her parents in Hebron, Nebraska. The couple lived on a farm before moving to their home in Superior in 1954. 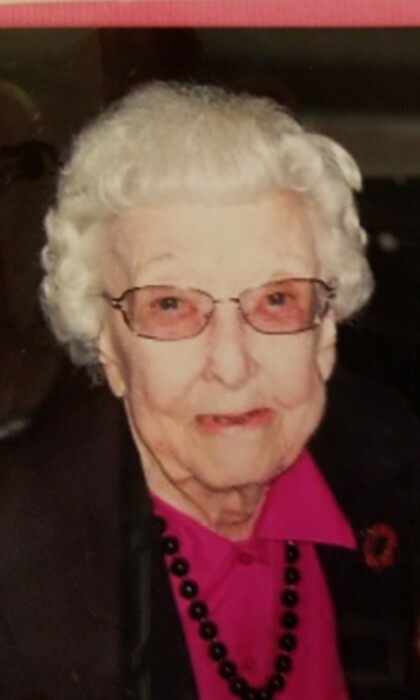 Vernoye was a long-time member of Centennial Lutheran Church in Superior, the Lutheran Women's Missionary League (LWML) and the Retired Teachers. She and Eilert enjoyed playing cards with friends. Vernoye was also an avid gardener and was most proud of her roses. She entered the Superior Good Samaritan Society in November of 2010. She is preceded in death by her parents Ben and Ruie, husband Eilert on January 2, 1997, infant brother, Garland "Ben" Bishop, brothers and sisters-in-law Reece and Mildred Bishop and Duane Bishop, sisters and brothers-in-law Vivian and James Butterfield and Ruie "Kathryne" and Harlan Meyer, and siblings-in-law Ruby and Clarence Wilton, Leland and Lyda Bargen, Orlin and Blanche Bargen, Carl and Theora Bargen, Alvin and Wava Bargen and Frederick Bargen. She is survived by son, Victor Bargen of Mankato, KS; granddaughter Kendra Bargen of Hastings, NE; daughter-in-law Marilyn Bargen of Hebron, NE, nieces, nephews extended relatives and a host of friends. Memorial services were at Centennial Lutheran Church in Superior, Nebraska on Friday 2:00 PM December 28, 2018 with Pastor Robert Hopkins.